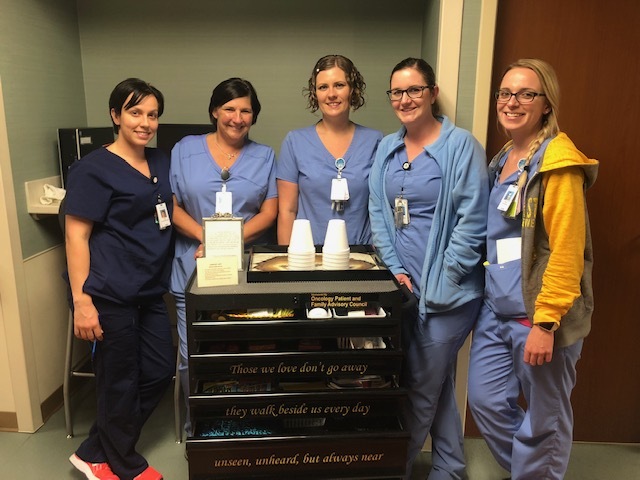 Last March, the Cancer Institute at Ascension Via Christi Hospital St. Francis launched another avenue for helping patients in the final hours of their journey: A modified tool box stocked with complementary items designed to make their families more comfortable during their bedside vigils. 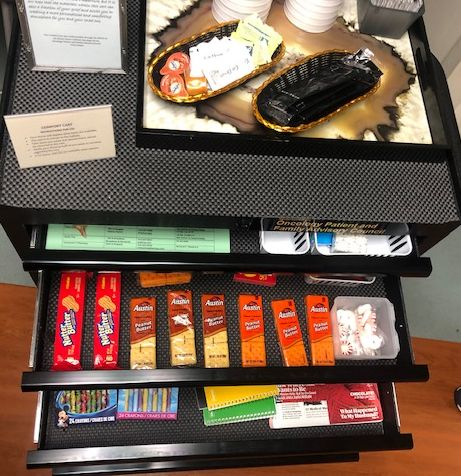 “It’s being used about three times a month and been much appreciated by those families,” says Tari Hopper, RN, was one of the nurses who had heard about the concept and wanted to launch a similar initiative on their unit. Via Christi's Oncology Patient and Family Advisory Council voted to help fund and operationalize the project last December. 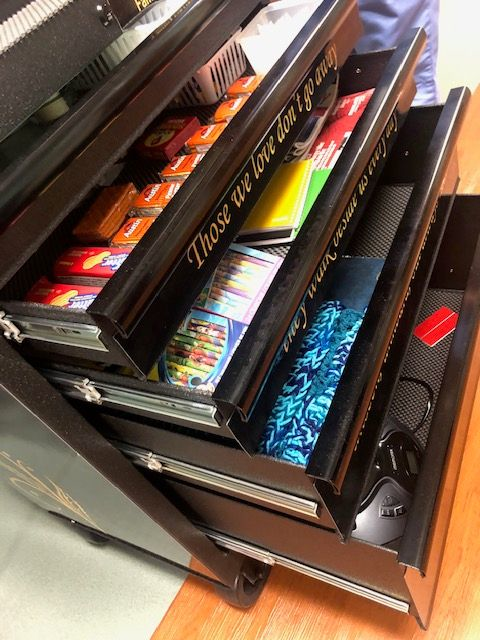 "From there, we went to work to make it happen," says Linda Starnes, who leads the subcommittee overseeing the project supported by Sandra Hodapp and Stephanie Shaffer, whose son Kurt, suggested they apply for a grant to purchase the tool box from his employer, Home Depot. Lois Millspaugh, staff liaison for the advisory council, then wrote, submitted and had their grant proposal approved--all within 24 hours. 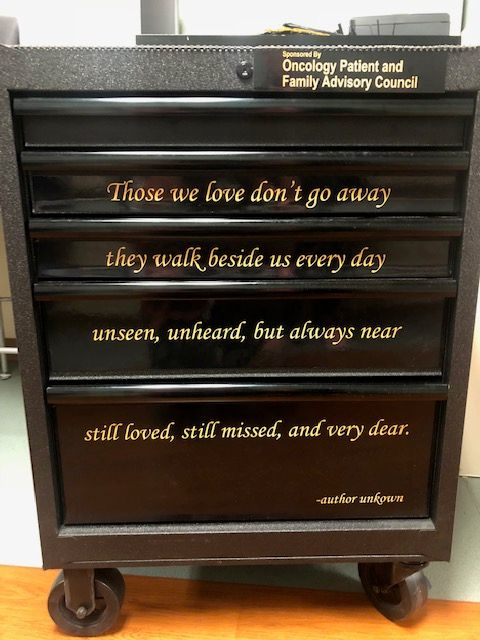 Unit secretary Christine Corriston submitted the winning design for the magnetic panels and Signs and Designs owner Mike Jantzen created them, donating the cost of the labor in honor of his mother, who had just begun cancer treatment and is now on the road to recovery. Patient and Family Advisory Council members stocked the cart with donated items—mostly from their own group—that range from toiletries, magazines and non-perishable food and drinks and continue to restock it as needed. 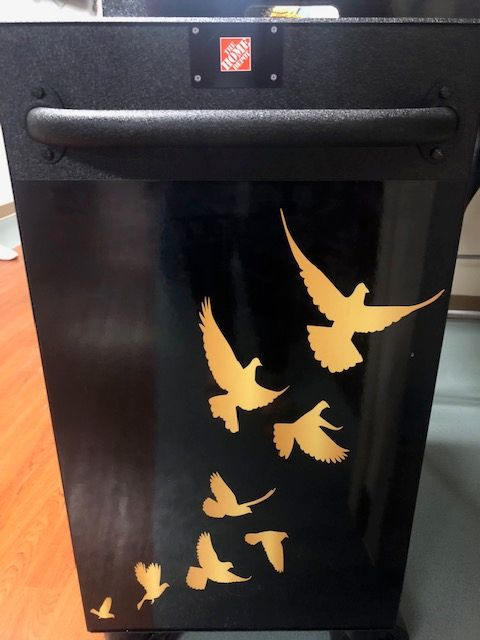 The cart is stored in one of the unit's two nursing stations and offered to families transitioning to hospice care. With the family's approval, the cart is placed outside the patient's room, where it serves a dual purpose. "It allows families easy access to items they may want or need during a loved one’s final hours and lets me know not to go into that room at that time when I am rounding on patients as a volunteer," says Shaffer. 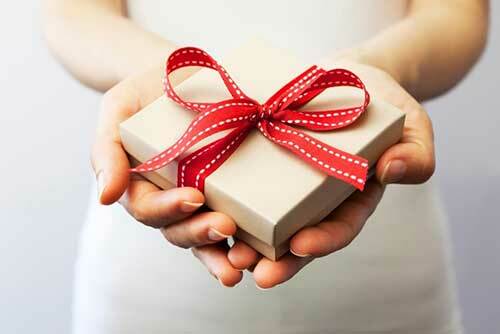 If you’d like to donate or help fund the purchase of supplies, contact Lois Millspaugh at 316-268-6792 or lois.millspaugh@ascension.org. Roz Hutchinson is a Wichita wife, mother and chief spoiler of six grandkids and three Chihuahuas, a die-hard women's basketball fan, and director of Communications and Public Relations for Ascension Via Christi.